My family emigrated from Nigeria to the United States in 1998. I completed my undergraduate degree in chemistry at Ferris State University in Big Rapids, Michigan and moved to West Lafayette to begin my graduate career in the Chemistry Department at Purdue in fall 2008. I received a Master’s degree in December 2011 and continued for a PhD. I officially exited my program in May of 2013 to follow God’s calling to religious life.The journey that led to me realizing my vocation was highly influenced by my involvement at St. Tom’s. I have been extremely blessed to engage in the faith community of St. Tom’s by serving as an Extraordinary Minister, Sacristan, Religious Education Catechist, and Parish Pastoral Council member as well as being involved in CALL 20/30 young adult ministry, Campus Renew, LUM and Family Promise ministries. I remained very involved in professional/academic chemistry organizations in my department and served as the president of NOBCChE (National Organization for the Professional Advancement of Black Chemists and Chemical Engineers) in 2011/2012. In my free time I enjoyed spending time outdoors, going on a hike or walk, or just spending time with friends. The example and prayers of my parents have truly fostered my vocation most significantly. The faithfulness of my parents and of those God has placed in my path gave me the spiritual community of support to grow in devotion, and the courage to surrender to God’s divine will. I am excited about all of what is going to happen in this new life! 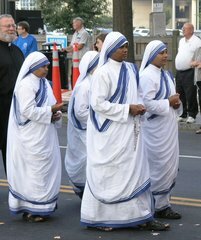 I am excited: to be ‘home’ and united in faith with my Sisters, to enter fully into the life of total self-donation and preoccupation with our Lord, to learn more about the Dominican tradition and our Church, to go out on mission to perhaps teach Chemistry in Catholic Schools and evangelize the youth. My first year in religious life as a postulant,will comprise of learning the Catechism of the Catholic Church, Church documents, along with the tradition of the Order of Preachers. Everyday is filled with lots of prayer, especially for our families and those who have supported us as donors, some silence and a healthy amount of recreation. The Sisters play all types of sports and are very good by my standards! Because I have educational debt, my very next steps involve appealing to anyone and everyone for support to help ‘promise off’ my debt in the form of pledges or gifts so that I can actually enter the convent this August. As part of the vow of poverty, a person who enters religious life must be debt-free. Since we take first vows 3 years after the beginning of postulancy, those who make pledges have 3 years to fulfill their promise in affordable monthly payments. Anyone interested in becoming part of the community of financial supporters of my vocation to religious life, whom I have promised perpetual prayers may visit www.boilervocation.com to learn how to make a contribution. The best advice I can give to those who may be discerning is do not be afraid. A big step in yielding to the Holy Spirit and responding to one’s vocation is realizing that God’s will is of the greatest good. Additionally, it is very important to live in such a way that you can fully respond to God’s divine call when the time comes. This implies: living with integrity, devotion and excellence in work. Developing good financial habits early and avoiding debt when possible. Essentially being good stewards of the time, talent and treasure God has given us. 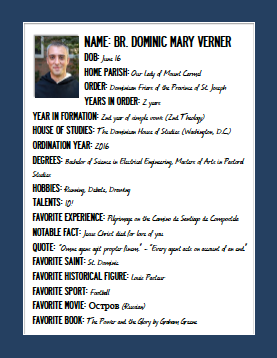 Get to know one of the newest postulants! I recently asked Leah Daily a few questions about herself. Q. What activities were you involved in before applying to the convent? A. I love to be outside, hiking, camping, or bike riding. I also enjoy music and have been playing the violin for 13 years. Classical pieces and Irish fiddle tunes are my favorite types of music to play. I also enjoy spending time with my family and friends, reading, baking, and doing crafts, such as making rosaries and cards. I was involved in the Kokomo Symphony Youth Orchestra for 10 years and the Guerin Catholic Orchestra for 4 years. I also was a sacristan at my parish, a 10 year member of 4-H, and a volunteer at St. Joseph Hospital in Kokomo. Q. What/who helped you in discerning your vocation? A. There were so many people who helped me in my discernment, it is hard to know where to begin! My brother, the witness of our seminarians, Father Hasser, and Sr. Cora Marie OP (from Kokomo) are just a few. I also visited the Sisters from my community in Carmel several times. I prayed with them, recreated with them, and visited their classrooms. I also attended a vocation retreat at the Motherhouse in Nashville in January of this year. Being with the sisters helped me to see the religious life lived out in a beautiful way! Spending time in Adoration, developing a devotion to Our Lady, and attending Mass at least a few times throughout the week helped me to develop a deeper relationship with the Lord and understand His will in my life, as well as the courage to follow Him! Learning about the lives of the Saints and asking for their intercession was definitely helpful for me during the past few years. I especially love Our Blessed Mother, St. Therese the Little Flower, St. Clare, and Blessed Pier Giorgio Frassati (who was a lay Dominican!). Q. What are you most excited about in your next steps? A. I am so excited to be formed by the community and to grow in understanding of myself and in my relationship with Christ. Q. What do you anticipate your life to be like in the next year? A. For the next year my days will be spent in prayer, studying at Aquinas College, recreating with my sisters (including playing sports! ), helping with cleaning and serving dinner, and learning what it means to be a Dominican Sister of Saint Cecilia! I will also be getting to know my sisters and learning how to chant the Divine Office. There are at least 23 other young women entering with me next month on August 15. Q. What advice do you have for others–both those discerning and the friends/family of those who haven’t discovered their vocation yet? A. Receiving the Sacraments regularly, including daily Mass and frequent confession, is sooo important in discernment because they help us to develop a close relationship with Christ. Also, remember that the Lord has something amazing planned for each of one of us and He gives us the courage to follow Him. A vocation is a Divine initiative that calls for a human response – both are made in love and it is such a beautiful thing! Q. Something interesting about you that you’d like to share/random fact about you? I am a parishioner of Our Lady of Mt. Carmel. I attended Catholic Schools from Kindergarten through College and then worked as an accountant for four years at PwC in Indianapolis. Before applying to the convent, I volunteered with the Merciful Help Center, taught second grade Parish Religious Education, served as an EMHC, and was a high school youth minister. I enjoy baking, traveling, and wine tasting. My parents, sister, and pastor, Fr. Richard Doerr, all helped me in my discernment. 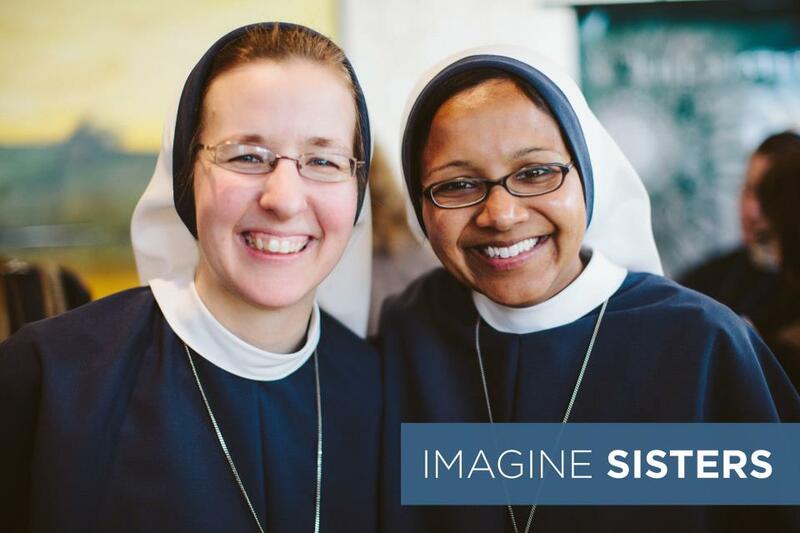 In addition, there is an online movement called Imagine Sisters that provided information and encouragement as I discerned religious life. I am most excited about taking more time for prayer and living in community. I am also excited to go to Germany with many of the sisters in November for the beatification of Mother Maria Theresia Bonzel, the foundress of the Sisters of St. Francis of Perpetual Adoration! [In the next year] Most days of the week I will be waking up early to be in the chapel by 5:25am for morning prayer, the Angelus, and Mass. After eating breakfast with the postulants and novices, I will then do various chores and attend classes about topics such as Franciscan Spirituality, Religious Life, Scripture, and the foundress of the order. There is midday prayer, lunch, and more chores and classes. At 5pm, all the sisters go to the chapel for evening prayer and adoration. After dinner, the sisters gather for recreation, which means free time that is spent together. Often, they play board games or go for a walk. The sisters go to bed pretty early, but take turns getting up throughout the night for Perpetual Adoration with our Lord! When I started feeling the call to religious life, I had a lot of fear of what this calling might mean and what religious life would look like. My advice to others who are discerning or haven’t discovered their vocation yet is to spend time in prayer and in the sacraments. By drawing closer to Christ, you will be able to discern God’s will in all aspects of life. By allowing God to show you His will in the small things, it will be easier to know his will for your vocation! Sr. Maria Kolbe Gretencord, from St. John the Baptist in Earl Park, Indiana will be making her final profession to the Dominican Sisters of Mary Mother of the Eucharist on July 31, 2013! She will be on her home visit from July 6-14. 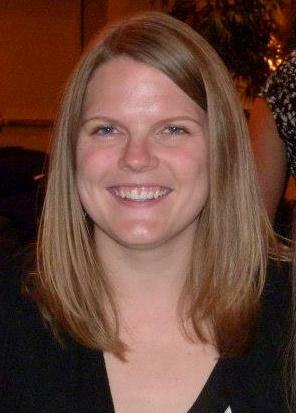 After she makes her final vows, she will be assigned to a new mission in Sacramento, CA for 2013-14 school year. Sr. M. Lisseta Gettinger, from St. Boniface in Lafayette, Indiana will be making her final profession to the Franciscan Sisters of Perpetual Adoration on Aug. 11, 2013! She will continue on in her assignment teaching Jr. High Science, Art and Religion at St. Anthony de Padua School in South Bend, Indiana.